NBN Long Term Satellite restrictions: revealed - jxeeno™ blog. nbn proposes standard 75GB data cap per month with 100GB and 150GB premium options to ensure satellites aren’t congested. 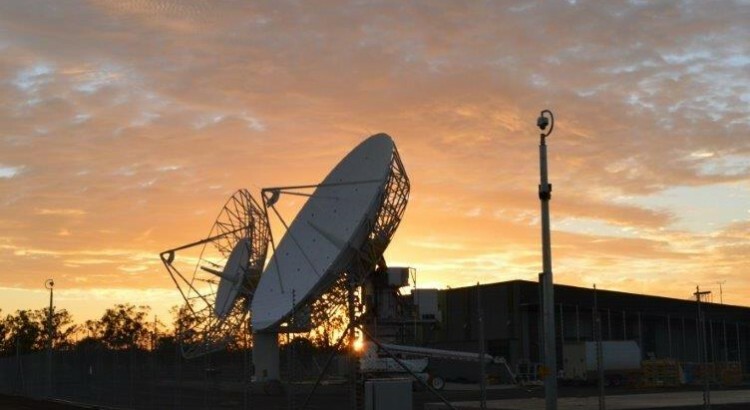 On Friday, nbn, the company responsible for building the National Broadband Network, released draft documents relating to the NBN Co Satellite Network set to launch in the second quarter of next year as part of the Satellite Trial Product Agreement. The documents (see bottom of page) reveal a number of measures and restrictions expected to be taken by the company to prevent excessive use of data by end users. nbn will be introducing a concept called CVC Classes, which are essentially different levels of service on the NBN Co Satellite Network. There are three classes, starting with the standard CVC Class 0, plus two additional premium CVC Classes — 1 and 2. These classes are costed differently, have a different maximum contention ratio and have a different maximum data usage cap. Cost-wise, the company will charge service providers an extra $18.00 and $40.00 ex. GST per Access Virtual Circuit (essentially, per end-user) for CVC Class 1 and 2 respectively on top of the existing AVC and CVC costs. CVC Class 0 will have no additional charge. The following table shows the AVC + CVC Class Fee. (Note: this is not representative of the cost of NBN Satellite plans. Actual costs are likely to be higher as this excludes any CVC, NNI, network transit and peering costs incurred by Service Providers). On the data usage cap side, the company is two key enforcement metrics across all classes. As part of the Fair Use Policy, nbn will introduce a per-AVC (essentially, per end-user) cap calculated on a rolling 4 week average basis. The maximum usage over the four weeks are 75 GB, 100 GB and 150 GB for CVC Class 0, 1 and 2 respectively. This is compared to 50 GB currently being enforced on the nbn Interim Satellite Service. A second data usage enforcement metric is the “Peak Period” usage, which is calculated as an average across the Service Provider’s CVC Class user base. During this peak period, defined as being between 7:00 am to 1:00 am (the following day) in the local timezone of the premises — the average upload/download data usage across all the ISP’s CVC Class users is 15/3GB, 20/4GB and 25/5GB for CVC Class 0, 1 and 2 respectively. * this is not representative of the cost of NBN Satellite plans. Actual costs are likely to be higher as this excludes any CVC, NNI, network transit and peering costs incurred by Service Providers. Failure for the service provider to comply with the data usage caps could result in data deprioritisation by nbn and/or shaping upload and download speeds to 256/256kbps until the issue is resolved. nbn will also place restrictions on the CVC-to-AVC contention ratio, enforcing a minimum number of end users a service provider must have on a particular CVC before allowing them to step up to the next tier. On a CVC Class 0 CVC, the CVC capacity can range from the initial 100 Mbps up to 475 Mbps in 25 Mbps intervals. The service provider must have at least 890 AVCs (equivalent to users) in that CVC Class in order to increase their CVC capacity beyond the initial 100 Mbps. A minimum of 210 additional AVCs are required for each 25 Mbps capacity increase. For CVC Class 1, the maximum CVC capacity is 550 Mbps. To move beyond the initial 100 Mbps CVC, the service provider must have at least 680 AVCs and can increase in 25 Mbps intervals for every 195 AVCs. CVC Class 2 CVCs have a maximum CVC capacity is 725 Mbps. Moving beyond the initial 100 Mbps CVC would require 548 AVCs and 25 Mbps increases for every 142 AVCs. For assuming the 12/1 Mbps tier across all users: CVC class 0 provides a minimum contention ratio of ~1:106 with CVC class 1 and CVC Class 2 requiring a minimum contention of ~1:81 and ~1:68 respectively. Managing satellite network traffic has always been a tricky issue. One one hand, the company doesn’t want to be perceived as disadvantaging rural and regional areas. On the other hand, it is a necessity to make sure the service isn’t so heavily congested that no-one can use it. The Interim Satellite Service was a good learning experience for nbn. Service providers wanted to offer their users “unlimited” or high quota plans, thinking it could be offset by many more low-usage users. They soon realised that the providers were unable to manage their own capacity well enough and soon, implemented traffic management policies to help manage the overly congested 48,000 users on the limited existing capacity of Optus and IPStar. The limitations set by nbn are complex, there’s no doubt about that. There are more intricacies that are omitted in this post — simply because they are too hard to explain simply. These complexities means that small RSPs may struggle with implementing the traffic limiters and monitoring tools required to meet nbn‘s strict policies. This could result in reduced competition in the long run. Note from the writer: Please take this section with a grain of salt. My views have changed substantially since this section was written because I had assumed that an end user could actually access all of the 75GB, 100GB and 150GB of data on CVC Class 0, 1 and 2 respectively. However, it is now evident to me that the Fair Use Policy has implications on time of use and doesn’t account for data incurred during shaped data usage. Please read the updated analysis for more information. So, will 75 GB on a rolling 4-week average be enough? As a standard quota, I think it will fit within most people’s needs. Currently, NBN offers 50 GB on a 4-week rolling average to their Interim Satellite Service. So, 75 GB may seem like a small bump — but it’s 50% more nonetheless. To keep things in perspective, statistics released by ABS show the average data consumption across all fixed-line technologies (end of 2014) is around 60 GB. Further to that, the statistics released by nbn in their end of FY14/15 shows average data consumption on the NBN has steadily risen from 80 GB in September 2014 to 109 GB in June 2015. So on an average consumption basis, I think the 75 GB monthly quota would fit the bill for most people. So while nbn would expect most customers who take up a standard-tier 75 GB plan, the option is there to bump it up to 150 GB which is technically above the 109 GB average for current fixed-line/fixed-wireless nbn end users. We also need to consider the demographic of the majority of these users: they live in very rural or remote communities. Most regional centres are serviced by NBN Fixed Wireless and some form of NBN Fixed-line technology. The remaining of these customers would have previously had very limited Internet connectivity, if any. The standard 75 GB, plus the option of the more expensive 100 and 150 GB tiers will provide these rural communities with more than just a taste of online connectivity. It will give users access to services like email and YouTube, and perhaps even more revolutionary — access to video conferencing through the likes of Skype or access to massive libraries of online TV content on Netflix, Presto or Stan. All this will be possible within the confines of 75 GB, provided image quality is throttled accordingly. Ideally, of course, each user should be given more capacity. Hopefully, with the launch of the second satellite, nbn is able to augment some of the redundancy capacity on that satellite to use as more bandwidth for each user.